For South Korean, after Chuseok (Korean’s Thanksgiving), this holiday is the biggest one that they have (And I have no complain for the three-day holiday). 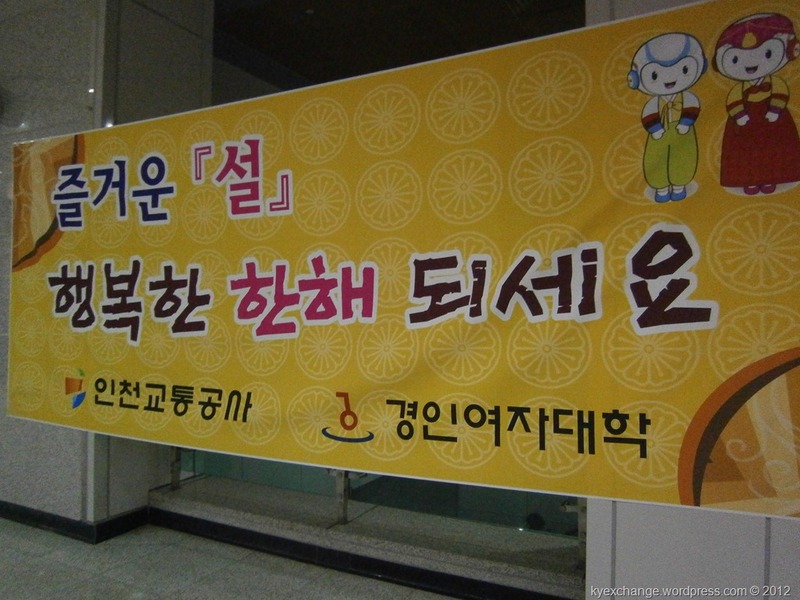 Everybody greeted one another with New Year Greeting, so, the subway station also wanted to join the action. In every subway station, you could see banner from the government, but they differed in each government. 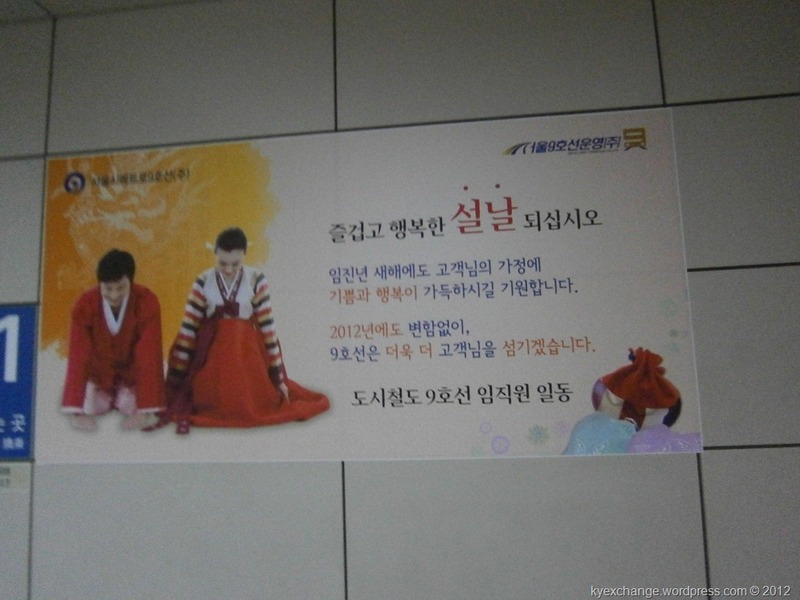 In short, The Incheon Metro and The Seoul Subway had their own greeting. From what I see, Seoul Subway goes to more formal approach (with the bowing picture and the language) and The Incheon Metro chose more cutesy look. Which one that you prefer more? Anyway, happy belated lunar new year to all of you celebrating it.